For those of you who heard my High Holiday sermons, you may remember I might have speant a lot of time already on Parashat Lech Lecha. It was the opening words of Chapter 12 that carried us through a vision of t’shuvah and transformation for the season and that have shaped our consciousness of who Abraham and Sarah were. We hold them up to be spiritual giants, innovators, the openers of doors and the makers of souls. 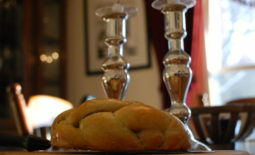 In the Midrashic imagination, Abraham is Judaism’s first and best missionary as he welcomes people into the Covenant with food, conversation and hospitality. In the modern imagination, he is the first activist who, unlike the passivity of Noach, doesn’t only obey God but challenges God. He is the great humanitarian who stays God’s hand for the sake of ten righteous individuals before the cities of Sodom and Gomorrah are overturned. This is the Abrahamic paradigm we love and favor. But the Torah is complex and the Torah doesn’t pull punches. And most importantly, the Torah knows no shame. So we will jump from the inspirational and sublime of chapter 12 to the pain and shame of chapter 16. Much has been written about the role of women in Scripture – far too much for me to summarize here. Women are compromised, erased, subjugated. There is no denying that the Biblical world was a patriarchal world and that women, like foreigners, slaves and the economically vulnerable, were at the receiving end. Chapter 16 appears no different: women’s value seems inextricably linked to their fecundity or at least to their physicality. Jealousy and abuse between co-wives is lamentably common. There is a glaring power differential between the resources of the Abrahamic family unit and Hagar, the marginalized immigrant in their midst – even her very name means ‘stranger’ or ‘immigrant’. In other words, this is not an ancient story; it’s a very contemporary story and the obvious parallels leap at us from the page. 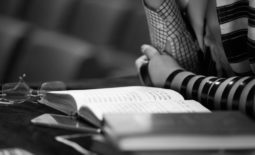 I am a great believer that the Torah often inflicts the wound as well as offer us the healing balm. These are hard texts, especially for women or for who love the women in our lives. I am aware that I am the first female congregational rabbinic presence in our locality and while I normally do not dwell on that, it hits me now. I read these texts not just as a rabbi or as a Jew, but as a woman, wife and mother. Many women identify with the struggles of Sarah and Hagar: the inability to conceive, competition rather than sisterhood when vested interests and entrenched power clash, emotional attachments to an unhealthy relationship, economic precariousness, physical objectification and profound existential alienation. With the roughening of our social discourse and the experiences of harassment, abuse and assault of women have proven to be endemic, the emotional weight of chapter 16 cannot be denied. The Torah is the injury and the cure. It injures us to read these verses and to know, intimately so, the many ways we women – as well as men – have been hurt. Many of us have stories and experiences; some too painful to share. It seems to be common to the female experience that we suffer in silence; that we internalize the taboo lest we are judged by them or reduced to them. Yet, as I said over Yom Kippur during my remarks on the Leviticus reading of Mincha: the Torah knows no shame. The genius of Torah is that it does not inculcate the puritanical notions of our times. I never cease to be amazed at how forward and fresh this Bronze Age text can feel. Sarah and Hagar’s experiences are named in this chapter. Their experiences are front and central. Their testimonies are heard; embedded and encoded in our sacred, collectively revealed text. The Editor (or editors) of the Torah could have rendered unto us a Semitic version of Hammurabi’s Code: legal writ exclusively. 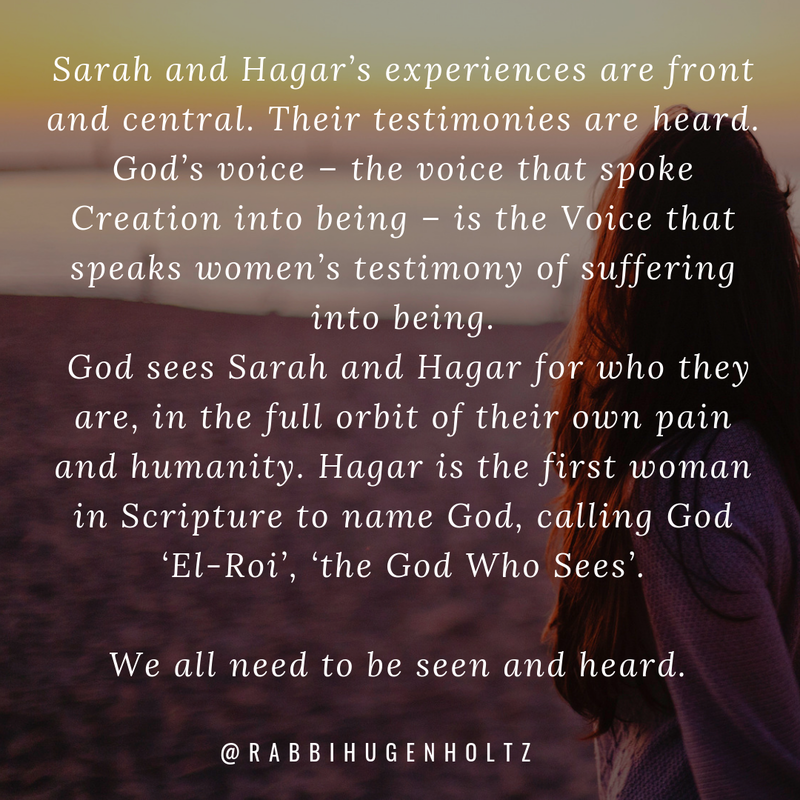 Instead, we have a different image to contemplate: the metaphor of God’s voice – the voice that spoke Creation into being – speaking women’s testimony of suffering into being. ‘V’tere ki harata vatekal gevirtah be’eineiah’ – ‘and she (Hagar) conceived and she (Sarah) was lowered in her esteem’ (lit. her gravitas was made light in her eyes). ‘Chamasi aleicha anochi’ – ‘the wrong done me is your fault’ (lit. my violation is upon you) says Sarah to Abraham. ‘Vatane’hah’ – ‘and she treated her harshly’ (lit. and she oppressed her), in reference to Sarah’s treatment of Hagar. The pain speaks to us: of diminishment, of erasure, of the violence of judgment and inadequacy that many women feel, the cruelty that human beings inflict upon one another, even those who should be bound by sisterly bonds. It is a complex story, where women are both victims and perpetrators of oppression. Where there is agency and disempowerment. But it is complex stories that our times require; stories that are brave in their ability to cross bridges, navigate divides and ask deep, discomforting questions. In this week’s weekly newsletter, I recommended a podcast called ‘On Being’ with Krista Tippett. What troubles you about your own side and what do you admire about the other’s side? I have been sitting with that question all week. 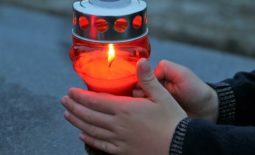 While there is an inherent danger in that question of creating false equivalence when power differentials are real and devastating, it does allow us to do something important: create a sense of agency over how we tell our stories and ask our questions and move to a place of understanding and empathy through the acknowledgment of the other’s pain. If only Sarah and Hagar could have done that: acknowledge the infertility of one and the disempowerment of the other. Both could have seen each other in their humanity and vulnerability. Luckily, where the women and men in the story fail, God succeeds. It is God Who becomes the questioner and the seer. God sees and blesses both women; sees them for who they are, in the full orbit of their own pain and their humanity. Hagar is the first woman in Scripture to name God, calling God ‘El-Roi’, ‘the God Who Sees’. Perhaps the crisis of our age comes from our inability to hear and see, and therefore, to speak our experiences and truths. We all need to be seen and heard. The Torah, remember, has no shame. The Torah tells it how it is. The Torah opens our eyes to the narratives that are easily forgotten: of the slave, the foreigner, the barren woman, the bereaved, the vulnerable, the poor. Likewise, the Torah refuses to dehumanize those with power: we do not collapse their rich inner lives into a political caricature – instead we call them to account and invite them into the fullness of their moral being. Starting with chapter 12 is an excellent start – it is a keen literary choice to start the Abrahamic story there; to embrace the hero’s quest. But the true heroism of our protagonists lie in their failure and in these following chapters, where we uphold another quest: for deep questioning, shared humanity and the seeing of each other’s pain. The paradigm of the God Who Sees, not just the God Who Sends, is a new paradigm; more mature, more existentialist but also the very balm of healing that we need. May we speak our truths like Sarah and Hagar and model seeing, hearing, listening for the time to come.